Carrying Everest is a forthcoming documentary that will share the stories of a hidden and marginalised people who support the Everest trekking industry in Nepal: the Kulung people. Set against the backdrop of some the most beautiful scenery in the world, the documentary will tell the personal stories of those living in the shadows of the world's most famous mountain. It is first and foremost an exploration of the lives of a courageous group of people who risk so much for the betterment of the lives of their families. This will be the story of those who carry Everest. The documentary will follow the Kulung people on their journey to the Everest trail and bear witness to their stories. Beginning in the remote Mahakulung region, the documentary will explore the home of the Kulung before joining them as they travel up to Lukla, Namche and eventually Everest Base Camp. While travelling off the main tourist route, the documentary will also explore and showcase some of the natural beauty that goes unappreciated by foreign visitors in an effort to present alternatives to the famous Everest trail and promote the growth of a more sustainable tourism industry in the Mahakulung region. In 2013, I met Dilip in Kathmandu while travelling through Nepal. Over a couple of beers in a dusty back-alley cafe in Thamel, he told me what it was like living in Nepal, particularly for his people: challenging and unrewarding. I was rocked by his stories of traveling up to Everest, working as a porter and a guide. It was then when he invited me to join him on a trip to Everest Base Camp, if I were to ever return to Nepal. Long after I was home in Australia, his story stayed with me and I couldn’t shake his offer. I wanted to learn more about the Kulung people. Who are they? Why are their lives so hard? The more I spoke with Dilip, the more compelled I felt to tell their story and the idea of this documentary film was born. The Mahakulung region of Eastern Nepal is relatively unknown to the outside world, but it supports one of the most well-known tourist destinations on the planet. Researching the Kulung has been trying as there is little western literature available and accessible, which has emphasised just how important this documentary is, both for the world and the Kulung. The Kulung people live in the Eastern Nepali districts of Solukhumua, Sankhuwasabha and Bhojpur at an altitude between 1400 and 3300 metres. Many have moved beyond this region and some reside in neighbouring Bhutan and India. In Solukhumbu, the Kulung live along the Hongu Khola in an area known to its inhabitants as Mahakulung. The Kulung assert that Mahakulung is the original place of their ancestors and the region consists of 4 Village Development Committees (VDCs): Gudel, Chheskam, Bung and Sotang. 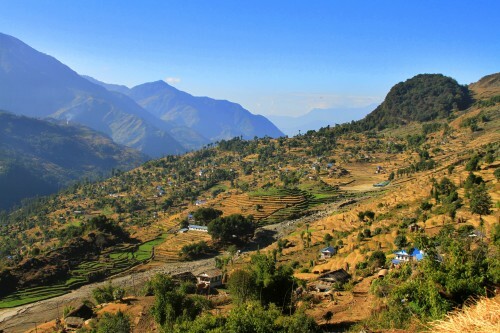 Inaccessible by road, the VDCs are a one to two-day walk to the nearest airport at Phaplu. It is this Mahakulung region, which will be the focus of the documentary. The Kulung are not officially recognised as an indigenous people of Nepal, meaning they receive no official development assistance or access to healthcare and education by the Nepalese government. Of the 125 caste and ethnicities living in Nepal, only 59 are officially recognised. This means the Kulung have no legal access to participate in the local, national and international development process. As a result, the Kulung believe they have fallen behind in national development and face significant challenges with regards their children's education, youth leadership, women's participation and in political representation. 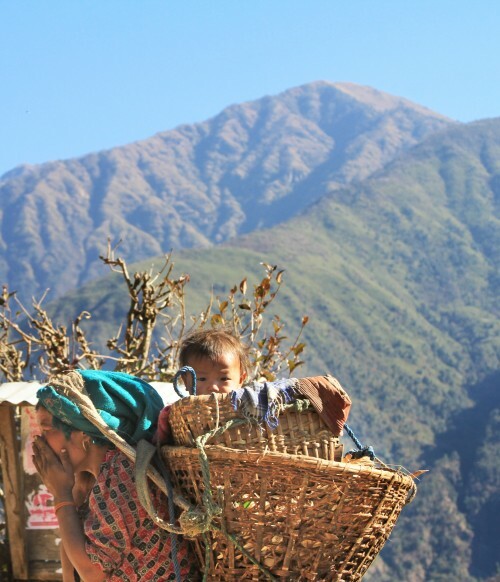 While the trekking industry provides income for the Kulung, it also exploits their cheap labour. In the case of many porters, mountaineering places those with the least at the threshold of peril; it is a rare trekking season that fails to see a porter killed or seriously injured. Even further in the shadows are the workers of the teahouses who provide services and accommodation for tourists on the trail. These people go virtually unrecognised and are severely under-appreciated. While the Everest region contributes significantly to the $370 million Nepal makes a year from tourism, it continues to perpetuate conditions that see people exploited for their cheap labour. In fact, the Kulung are responsible for about 80% of the labour that supports the Everest trekking industry yet earn approximately approximately AUD$12 a day. After paying for their own meals and lodging, porters might only take AUD$74 home to their families after a 13-day trek. The average national income in Nepal is just $1000 a year. Local mountaineers and porters can earn up to $5000 for an expedition that summits Mount Everest, but the risks can be enormous. The 2014 disaster in the Khumbu Icefall (as beautifully and tragically captured in the documentary ‘Sherpa’) which killed 13 people in a single day emphasises the perils many face, despite the pay check. For many families, the risk is far too high. The Nepalese earthquakes of 2015 have only made the situation even more dire for the Kulung. In Chheskam alone, over 300 homes were destroyed and those still standing are deemed unsafe and at risk of collapse. Speaking shortly after the May 12th earthquake in Eastern Nepal, Dilip expressed the sorrow felt by so many in the region: "We have no tears to cry anymore. Our hearts are broken. Our people are homeless." Thousands will now spend the forthcoming monsoon season under tarpaulins and makeshift shelter, braving the very likely threat of avalanches, landslides and aftershocks. Despite the tragedy of the recent earthquake and the historic hardships faced in Mahakulung, stories of courage, dreams and community are yet to be told. Over the past 12 months, I have been assembling a team of filmmakers to travel to Nepal to capture these tales. We want the film to be about heroic exploits - the power of the heart, the passion for life and noble people striving to build a better life. Despite the earthquake and despite the frustrating circumstances and inequality, there are also inspiring stories of human agency. We want to shine a light on their strength and resilience, not just the adversity they face. In September/October 2016, our joint Australian/Kulung film crew will travel approximately 200 kilometres on foot throughout Mahakulung and the wider Solukhumbu region, climaxing with a climb to Everest Base Camp. Joining me will be Leah Davies, a gifted writer and storyteller who will also be writing a book about the people we meet. My friend Dilip will guide us throughout the journey. Below, a video shows the planned route and the villages we will visit. Some of these locations are so remote that they didn't exist on Google; they had to be identified by old maps and the Kulung themselves. The trip into remote Eastern Nepal will be a challenging physical and logistical exercise. The region is rugged and isolated, yet all the while enchanting, steeped in the traditions and the beliefs of the Kulung people who have lived for generations upon generations on these lands. Basic infrastructure and services like drivable roads, electricity, clean drinking water, education, communication and health services are scarce. We will no doubt face challenges, but to capture and tell the stories of a people who have been voiceless for so long will be so worth it. Leah, Dilip and I are appealing to the generosity of the public to share the stories of the Kulung. Hoping to raise at least AUD$3000, the funding will not only assist with the logistics of the trip, but directly contribute to the employment and livelihoods of the Kulung. The crew will be staying in local teahouses (guesthouses), hiring local porters and guides at fair wages and purchasing meals and supplies in local villages, which in turn, will provide an income and much-needed investment for these communities. The donations we receive will go straight into the pockets of the local communities we visit. As the region does not sit along the main tourist trail, the benefits will be real for these people. Guides/Porters (AUD$800 - $1,000) - Not only is this film about the labourers, but we will be employing a number of people to help guide us and assist carrying our film equipment and supplies through Mahakulung and up to Everest Base Camp. By employing guides/labourers, we will be contributing directly to their livelihoods while helping them secure important funds for their children's education, health treatment and other critical needs. We would be hoping to spend $800-$1000 on porters and guides, which will ensure they get a fair remuneration and it will also cover their food and lodging on the journey. Travel Costs (AUD$3,000) - The team will be staying at 'tea houses' throughout the trip, rather than camping. This will be important for recharging film equipment and so on. But even more importantly, by staying at tea houses we are contributing to the economy and livelihoods of the villages we stay at. There will also be flights from Kathmandu to Phaplu, as well as from Lukla back to Kathmandu at the end of the trip. We'll also need to buy food and supplies along the way. This is likely cost upwards of $1000 for each team member, so any donations will be extremely helpful. While the film will focus on a particular group of people, it will also tell a grander story. The Kulung are one of many marginalised communities in Nepal. The goal is not to elevate any one group above another. The lives of the Kulung are similar to many other minority groups in Nepal. Our film will be a snapshot, and hopefully one that brings attention to much broader issues. If we can share one voice, it is our aim to raise the recognition of others too. To accompany the film, the team will produce a companion book, which will capture the beautiful faces and words of the Kulung people we meet in the Mahakulung. The purpose of this book is to tell the Kulung’s stories, their way. Hallam Drury previously released the short film Kiana, which was shown at the High Desert International Film Festival and the Lifefest Film Festival in 2014 in the United States. Kiana was made with the assistance of Metro Screen. Leah Davies is a purpose-driven writer, human rights activist and storyteller. She is the founder of Paper Planes Connect, a conscious communications consultancy centred of the art of storytelling to create social and culture change. She will capture the voices of the Kulung people to be shared in a companion book to accompany the film. The filmmakers are working in collaboration with the Kulung people on this project, and they have already contributed a significant body of work to the pre-production phase. Mahakulung is located in the Solukhumbu region of Eastern Nepal, southeast of Lukla - the gateway to the Everest Base Camp trail. 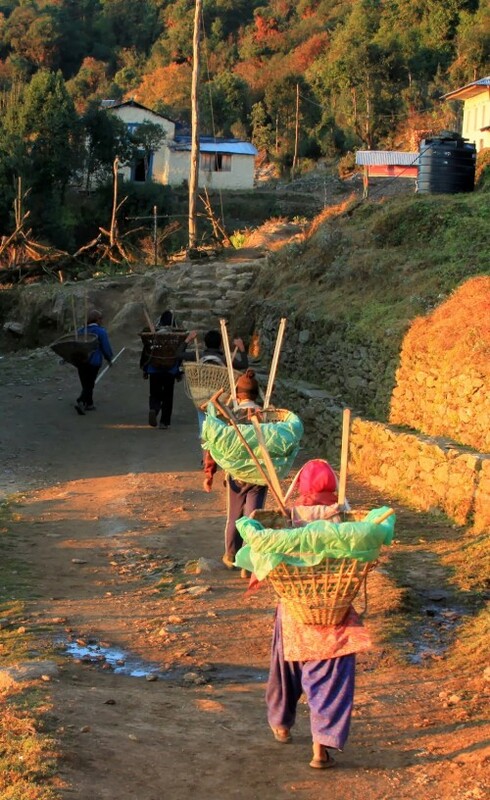 Carrying up to 95 kilograms, porters are only paid approximately AUD$12 a day. After paying for their own meals and lodging, porters might only take AUD$74 home to their families after a 13-day trek. The soundtrack will be composed by Jeffery Zampillo, who composed the score for the pitch video above, as well as Kiana. Our warmest thanks are yours, as well as a mention on the supporters section of our website. For helping the voices of Chheskam be heard, you will receive access to email updates from the production team, and a mention on our website. For sending us to meet the people of Gudel, you will gain access to our exclusive production blog which will give you a first-look at our behind-the-scenes photos and videos. You will also receive email updates from the team and a mention on the official website. By allowing us to meet the lovely people of Chhemsing, your name will appear on the closing credits of the film. You will also receive access to the exclusive production blog, email updates from the team and a mention on our official website. For assisting us in capturing the sounds and voices of Bung, we will give you a soundtrack from the film in the form of a digital download. You will also receive all the rewards mentioned above. For helping share the sights of Solukhumbu, you will receive a digital download of the film upon release. You will also have your name in the credits, receive access to the production blog, email updates and a mention on our website. For helping us reach Everest Base Camp, you will receive all the rewards mentioned above, and a personalised thank you photo with your name taken at the foot of the world's highest mountain. In addition to the awards above, you'll also receive a copy of the companion book upon release! For the eternal thanks of all the Mahakulung people, you will receive all the rewards mentioned above, as well as an 'executive producer' credit in the closing credits of the film.